Have some dangerous household items like chemicals and gases that you need moved but are not sure if your movers can legally transport them to your new home? Not to worry! 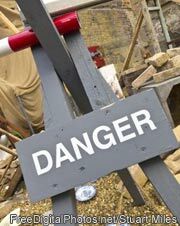 Within this guide you will find the dangerous goods that movers can and cannot relocate for you - mostly for public safety reasons. Follow this list closely to save time on moving day and make sure to disclose to your movers whether or not there are any items among your household goods that may pose a hazard. According to the Transportation of Dangerous Goods Act, the driver of the company you have hired has final say in whether or not to move any goods which they deem dangerous. If your request to transport something makes them in any way uncomfortable or they deem it unsafe - to themselves, their staff, their vehicle or their vehicle's contents - they are required by law to refuse shipping services. Household cleaners - any commercial product used to clean your home - Windex, Ajax, etc. Allowable dangerous household items must be packed separately in a box clearly marked, “Consumer Commodity - Dangerous Goods Exempt” and you must point it out to your movers during the loading process. You must also declare that these are the only dangerous items in your shipment, a declaration that should be found within your bill of lading. Do not, under any circumstances, try to hide dangerous or hazardous household items in with your shipment. Not only could it place the contents of the vehicle and its inhabitants in danger, but it could also render your liability and insurance null and void. TIP: If you are unsure of whether or not you can pack something, double check with the company you have hired as every moving service is different.